...Having been through the remodeling and construction project multiple times, we have never had an experience like the one we have with Constantine Builders. They were organized, reliable, on time and professional throughout. The communication was fantastic. They understood our goals and kept our best interests in mind. The final results were outstanding. They truly are the best at what they do. ...We have completed four projects with a fifth breaking ground shortly. The team at Constantine Builders from the front office to final punchlist, are thoroughly professional, very pleasant, and most importantly, invested in delivering a quality project on time and on budget. They take time to understand each project, offer valuable solutions to cost concerns, have great ideas to speed time to completion, and have a deep subcontractor network that provide many options for pricing and meeting deadlines. I have been very impressed with the character and integrity of everyone. ... Constantine Builders made themselves available to us, day and night. I think when you are taking on a project, it is invaluable to have a team that has the experience and expertise that Constantine Builders clearly has. Starting a business can be a nerve-racking experience, and you need to be able to trust your contractor. 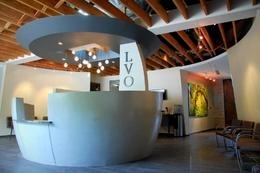 They showed us they have the expertise and integrity that we felt was vital to our project. ... 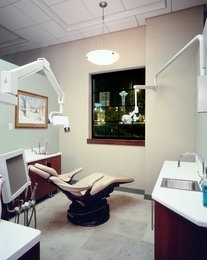 I had the distinct pleasure of working with, in my opinion, the premier dental office contractor in the northwest. They were sensitive to managing and controlling costs, and will value engineer when needed to stay within budget. The finish of my office is exceptional and truly reflects my style. They handle everything from permits to working closely with my designer, to orchestrating the highest quality subcontractors. They displayed the highest level of integrity, concern, and professionalism. ...Our whole project was an unbelievable experience. When problems arose (as they always seem to), they were quick to respond, offered well thought out solutions and kept everything on tract. 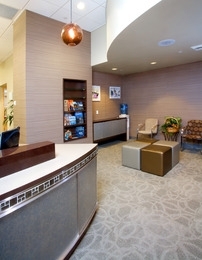 In the end, we finished on time, and on budget with a clinic that exceeded our expectations. 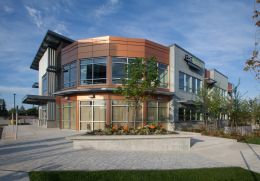 ...I have worked with Constantine Builders for nearly ten years on a variety of project types. The firm provides exceptional customer service and a creative, proactive problem solving approach that has ensured that the work continues smoothly and is completed correctly. ...Thank you for the great work that you and your team have done. Your approach to construction, ingenuity and experience definitely saved this project on many occasion. I am grateful for the mutual trust in the process and I am happy that this project finished on time and within budget. 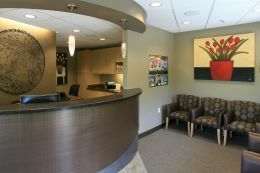 ...The quality of work is exceptional, and the office looks amazing; better than I ever imagined! I am thrilled with the end result, and I am SO GLAD that I chose to work with Constantine Builders. Constantine Builders was on time and stayed within the budget. The team was very organized and held meetings on a regular basis with the tenant, owner's representatives, building manager and architects. The team went the extra mile when I needed those little things done that come up to make the build out a success. When I price-compared their services with other firms they were far more competitive and with more practical solutions to the resources required to get the job done right. 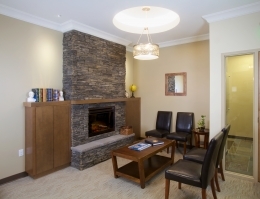 ...Working with Constantine Builders was one of the best decisions that we made. They performed with the highest level of integrity and excellence throughout the project and made it virtually stress free. Integrity matters. They were so dependable and trustworthy that it seemed our project was on autopilot. ...With all the work I've witnessed from Constantine, I see an organized team with talented individuals, performing great quality work, doing all they can to satisfy the customer which they have. ...I have nothing but great things to say about my experience with Constantine Builders. 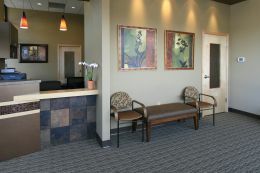 They were very responsive to all our questions and concerns, and were very professional throughout the entire process of my practice build out. They are an organized, well run company. They follow through with their commitments. 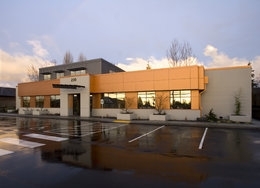 ....Without question, the team at Constantine Builders has been instrumental at making the Orion Building an overwhelming success; the building was awarded the 2010 Office Development of the Year award by the Washington Chapter of NAIOP (National Association of Industrial and Office Properties). Constantine Builders managed to make the most complicated and difficult logistical challenges with the project go smoothly. ....I really appreciate every aspect that I have observed during the construction of my office. This can all be overwhelming. The team at Constantine Builders made it fun and exciting. I have so much confidence in your company. It makes me want to build another one. 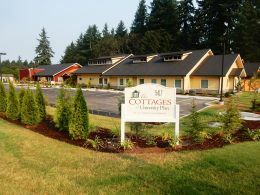 ...Constantine Builders has demonstrated the highest level of integrity throughout the entire build-out. Their attention to detail and commitment of excellence are unsurpassed. 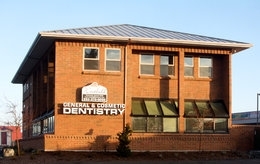 I am unequivocally recommending Constantine Builders to anyone who is looking for a dependable, honest, and experienced company for your next dental project. 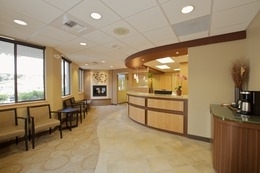 ....Constantine Builders worked with us on a very tight timeline of 5.5 weeks for the completion of our build-out. They helped to provide us with options within our budget and delivered a quality product. The management of the construction timeline was truly outstanding. 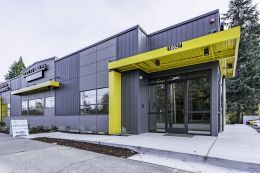 ....Constantine Builders was very helpful in seeing the big picture and working with us to maintain the project schedule and solve issues that arouse in the field during construction. They went above and beyond to ensure the owner received the best project possible. They made several suggestions during construction to improve details which did not result in additional costs. Their professionalism made the job a smooth one for us to manage. ....It was by far the best managed project I have financed to this point. Thank you for keeping it on budget and on time. ....attention to detail has been impeccable, especially in light of the many details and coordination of work needed in a new construction project. Your supervisor always worked in the best interest of the owner. 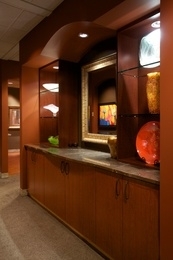 I am proud of my office, it only reflects the pride Constantine Builders takes in their work and attention to details. The project was kept on a very strict schedule and cost estimates were accurate. The "can-do" attitude was consistent to the end. This reflects experience level, proper planning, and a solid understanding of special requirements of a dental specific project. It was a wonderful display of organization and professionalism. Constantine Builders cares about their work and that jobs are properly completed. It was a pleasure to work with this team of professionals. ...."I am happy to have chosen Constantine Builders, they understood the stress that a project of this undertaking creates for the owner. 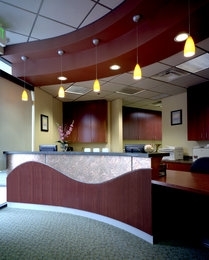 Their understanding, professionalism and willingness to "get it done" meant they finished on time and on budget. I will surely recommend Constantine Builders to my friends and business partners. .... Constantine Builders has a proven track record and have shown the ability to complete projects on time and on budget. There are many aspects to consider when choosing a contractor such as honesty, knowledge & expertise, commitment, dependability, meticulous attention to detail and dedication. Constantine Builders delivers on all of these aspects. On several occasions we have had a "Zero" punch list! This attests to the fact that they take pride in their work and deliver the best possible product. 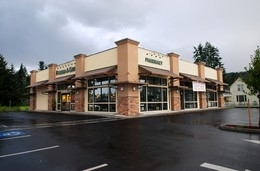 ...."I just completed our new office building with Constantine Builders. They are fantastic. We posed a tough challenge for them, they performed incredibly well. They exceeded my expectations." ...."I would like to thank you all for a wonderful, amazing, outstanding, crazy good job. Constantine Builders you are the most wonderful contractors/managers/owners I have had the privilege to work with and I look forward to many future projects together." ....Constantine Builders provides top-notch quality at competitive rates. The team is very knowledgeable; they provide ongoing communication throughout the project and strive to meet the customers needs. 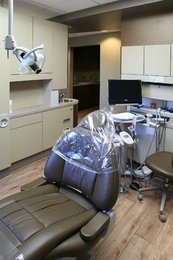 ...I came on board expecting to be overwhelmed with the huge task of coordianting the build out of a new clinic. The experience was not overwhelming, in fact, it was fun. Constantine Builders kept me in the loop of all conversations with subcontractors, building issues, permits, etc. My questions were answered promply and our issues were treated with immediate and primary attention. We have been pleased with the quality of the construction, as well as the continued support. ....Our expectations have been exceeded on a daily basis, all information including: spec sheets, budget proposals, weekly planning meetings have been conducted in the utmost professional manner and with integrity rarely seen in business today. ....Thank you for the outstanding service that you've provided throughout this project and for continuing that service even after the project has been completed. You have made my part in the project as stress free as possible. ....Constantine Builders portfolio of prior projects, showed me that they had the experience to do the job up to my high expectations. 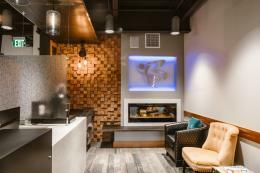 They were able to communicate with my local architect, engineers, and dental office designers to find the best products for the job and keep the project within budget. 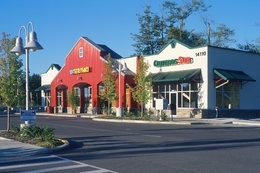 ....During all phases the honesty, integrity and timeliness of Constantine Builders was impeccable. 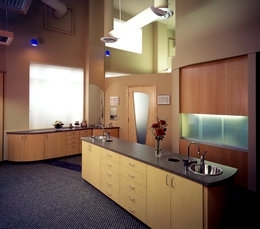 ....My practice has had the good fortune and inspiration to engage Constantine Builders for a very challenging office remodel project. 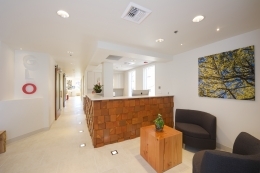 The remodel involved a complete tear down and rebuilding of an almost 3000 square foot space. The work was completed with impeccable timing. The end product is of very high quality. Constantine Builders has truly exceeded my expectations in every way. They are true professionals - a rare quality in the industry. ....I have come to admire the integrity that Constantine Builders demands from themselves, I know companies that have words such as integrity, professionalism and honesty in their mission statements but fail to live up to them. This can not be said for Constantine Builders. 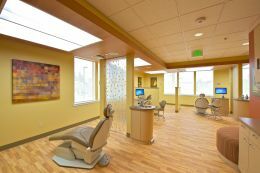 ....the project construction went smoothly, was well managed by seasoned staff, and came in on budget and schedule. Constantine Builders team brought a "can do" spirit and creative problem solving skills to the task that kept the project on track. ....I want to thank you for your outstanding work in my office remodel. Your commitment to excellence is reflected in your work. I commend Constantine Builders for the great communication with me, my design team and the sub-contractors. Your team embraced my changes to the plans with smiles on their faces. You made sure that I was pleased with the end result and executed all the work necessary to achieve the level of excellence I required. It was truly a joy to work with all of you. .... highly organized, detail oriented, ethical and hard working, Constantine Builders brings a vast amount of experience to all of it's projects. 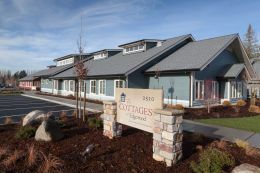 Constantine Builders completes their projects on time and within budget. .... They were very pro-active in looking after my best interests. In fact they help me negotiate with the Landlord some additional free rent because of some Landlord items that needed to be addressed. During the final walk through by my designer not a single flaw needed to be fixed. Constantine Builders has established and perfected their build out process to complete each project on the promised date. To achieve this they strive to keep clear communication with all of the vendors, sub-contractors, and clients through weekly meetings. Thank you for all your great work. .... Their attention to detail really impressed me because often times Constantine Builders staff would point out issues and details that I would not have otherwise been aware. They took pride in their work and that it was important to them that my expectations were exceeded. 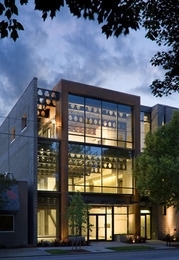 ....We have had the pleasure of working on a number of projects with Constantine Builders. As we often say, it is one thing to design a project with great detail, and quite another to have it executed with care and accuracy by a general contractor. In the case of Constantine Builders, their professional staff has done exactly that each time we have worked on a project together. They partner with us to find avenues to attain the desired result, without asking us to compromise our objectives. Low Impact-Constantine was very attentive in coordination all onsite management. Puctuality-Constantine met all their deadlines. Clean Site-All spaces were kept tidy and hazard free. On Time Completion/Within Budget-Constantine completed ahead of schedule and on budget. Realibility-You can trust Constantine Builders will surpass all expectations. If they say they are going to do something they do it. Competitive Pricing-Constantine priced the job very competitively and change orders were only incurred when the tenant or landlord made scope changes. Personality & Integrity-Constantine Builders was a pleasure to work with and you can trust that they will honor all agreements and provide you with an exceptional product. .... I am delighted with the final outcome, which frankly exceeded my expectations. You are to be commended for completing the project on schedule and at such a high standard. .... There are a few things that if I was asked what I liked most are. One was the integrity and work ethic. The second thing that stands out is the timeline at which our project was completed. They gave us a date at the beginning and said that it would be done by that date. They were able to complete prior to the original completion date. 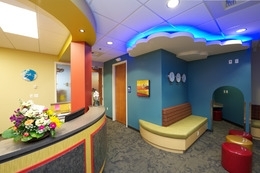 ....I would highly recommend Constantine Builders, my new space was a complex build-out. 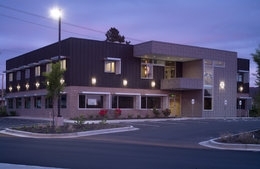 The project was completed in twelve weeks, and right on budget. There were no surprises! They gave me a number, and they delivered. 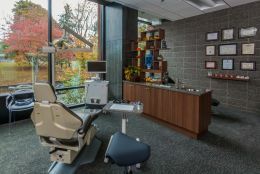 ..."I can confidently recommend Constantine Builders to anyone who may be considering an office build-out, particularly when it involves the specialized experience needed for medical and dental offices. 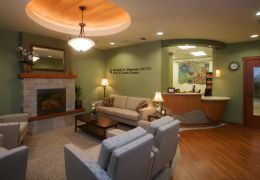 Constantine did the construction of my dental office, it was a smooth build-out and I got the great result I hoped for." ...I am very grateful that I found and hired Constantine Builders to build a new child care center location for my business. 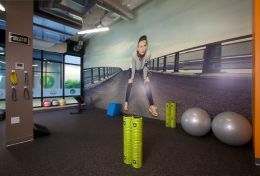 The scope of the project included an indoor gymnasium. The building looks beautiful. Constantine Builders really took the extra time to make sure that everything was done right with quality craftsmanship. ...Constantine Builders stayed on budget, on time, and finished my project with top quality. The organization and scheduling of our project was impressive. Their weekly meetings to address any and all issues regarding the project kept us feeling like we were in the loop and we were constantly aware of what was going on. I will certainly utilize only their services for any future projects. ....I have found Constantine Builders to consistently deliver a high-quality of work and craftsmanship and obviously feel fortunate to have the opportunity to partner with them. I'd recommend them wholeheartedly to anyone looking for a successful project. .... Thanks for an outstanding job. The entire process has been about as agreeable as it possibly could be. Clear communication, a genuine desire to serve and satisfy me as a client, and a commitment to keeping their word has been evident at all times. 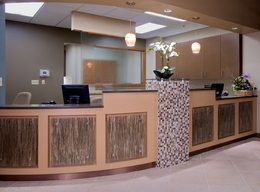 Thank you for creating a company that is what it claims to be "Builders With Integrity"
.... Constantine Builders are professional and knowledgeable in the construction/development needs of commercial projects with a keen focus on the unique requirements of the healthcare practice facility. We consider ourselves fortunate to deal with a group that has a reputation for standing behind their commitments and delivers what it promises. 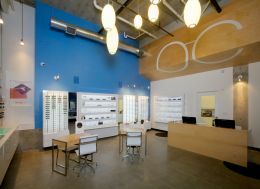 ....I was immediately impressed by Constantine Builders professionalism, attention to detail, and desire to build my optometry practice. Their communication throughout the project was exceptional, their work impeccable, and their willingness to go the extra mile was pleasantly unexpected. My practice turned out beautifully and was completed on time and on budget! ~ Dr. Jeff Woerner, Oculus Eyecare, Inc.
... They are an excellent partner on a project team. They schedule and coordinate project activities efficiently, identify and resolve problems before they become serious, and deliver a finished, high-quality project on time. The quality of their construction is first-rate: we typically identify very few punch-list items at the time of project completion. 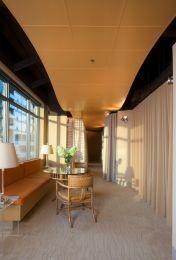 Working with Constantine Builders has been a source of growth and improvement in medial space design for Connell Design. They know their stuff and provide feedback during the design period and throughout the construction process. They have helped us improve our design-work and detailing for this special market. .... All of my clients who you provided services to have been very satisfied or had their expectations exceeded. Projects have been completed on budget and on time. .... they perform beyond expectations from helping to facilitate financing to completion; they are exceptionally skilled in the fine art of human relations. .... I have been impressed with the quality of the work but also the rapid pace of construction. This indicates to me a well organized job with a dedicated crew who have the owner's interests foremost. ....We have been very pleased with their organization and workmanship. We were most impressed by their project calendar outlining the construction timeline and estimating completion dates. Our projects were completed in a very time efficient manner and according to schedule. They were excellent at keeping us informed of the project status. 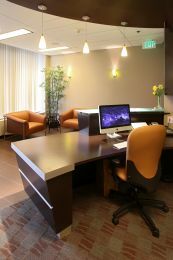 ....The quality of work and the consistent attention to detail have made my office a place I am proud to do business in. Your reputation for excellence in service before, during and after the project was completed made the difference. I am happy to say that Constantine Builders has delivered to the tune of 110%! ....Constantine Builders performed an excellent service for us. Our experience with them has been quality services at reasonable prices. We found them to be available to answer questions and willing to go the extra mile. .... The construction management skills of your team with all related parties had created, enhanced, and nurtured the operations so smoothly from the beginning to the end that everything was happening like clockwork. .... My staff and the client are happy with the work completed by Constantine and will recommend them for future projects. Their attitude of cooperation has led to a very comfortable and productive relationship between the Owner, Contractor and Architect. ... We were impressed by their listening abilities, the time they spent making sure that they understood what we wanted to accomplish and that we had budget constraints. We were informed every step along the way. 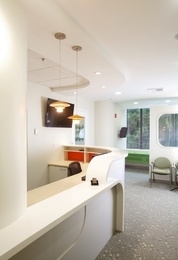 Our project was completed on time and within the approved budget. We recommend them for any project they state they can do. .... I have worked with Constantine Builders for more than the past 10 years. They have completed all projects we have designed with outstanding performance. Most of the projects have required strict deadlines which they have always honored. 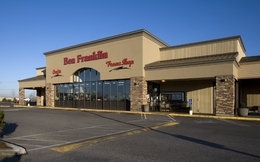 This is part of their ability to construct quality buildings within stated budgets. ...Constantine Builders was very attentive to every detail of the project they exemplified quality, experience & integrity while finishing the project on time and within budget. Their team saved the day when my water main burst. Constantine Builders did not miss a beat when I called at 8 AM; the water main was completely fixed by noon, 4 hours later. THAT is incredible service! ....Working with Constantine Builders has been a pleasure, from start to finish. They are fast, efficient, and the craftsmanship is excellent.